Do I Need a Lawyer in a Multi-Vehicle Accident? 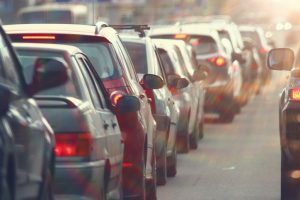 California’s congested highways are no stranger to multi-vehicle accidents – wrecks involving three or more vehicles, including passenger cars, motorcycles, buses, commercial vehicles and trucks. Multiple vehicle accidents, also known as pile-ups or chain reaction collisions, raise many complex legal issues when determining which person or people should be held responsible for the damages and injuries caused. Even if another driver admitted fault for the crash, hiring a skilled personal injury attorney is always recommended in pile-up collisions. An experienced attorney will provide sound legal guidance in car accident cases and can give you a major advantage when it comes to pursuing compensation for medical bills, lost wages, property damage and other financial losses. Your legal advocate should have expertise handling multi-vehicle accident claims, particularly in the Southern California area, and have the resources to investigate and gather evidence that supports your claim. In some pile-up crashes, there is just one driver at fault, but there are oftentimes situations where two or even three different motorists contributed to the accident. These cases are notoriously more complicated and warrant a seasoned litigator who has prevailed in the courtroom and in negotiating fair settlement payouts with reticent insurers. Multiple liable parties are frequently seen in freeway crashes, like the 405 in the west San Fernando Valley and the busy 101 that plies through downtown Los Angeles. Insurance companies will take advantage of car accident victims who do not understand their rights or what constitutes a fair settlement given the physical, emotional and economic injuries sustained. Don’t be fooled into thinking the insurance adjuster has your best interests in mind. If they offer a speedy settlement, it is more than likely a low-ball offer to close the claim quickly and mitigate additional compensation that a good accident attorney can obtain. While accepting a quick settlement may seem the obvious solution to your monetary worries, doing so implies forfeiting your right to seeking additional damages later. This is often the case when the victim discovers injuries that were not diagnosed or treated right away, and thus factored into the settlement deal. A multi-vehicle crash can result in life-altering consequences, and we at Ellis Injury Law understand the confusion, pain and anxiety that victims and their family members suffer. We provide compassionate, personalized representation with a view toward helping clients get the reparations they rightfully deserve to be made whole again. There are many situations where one driver violates a traffic law, loses control of his or her car and causes a chain reaction, with vehicle after vehicle being affected. In pile-ups like these, you may be dealing with not one but several insurance companies, all looking to shift the blame. You do not need to face such stressful – and potentially disastrous– situations alone. Your legal advocate will begin investigations into the sequence of events leading up to the crash, working with seasoned crash reconstructionists and industry specialists to establish the lines of liability. While any type of car accident can cause bodily injury, multi-vehicle collisions are more likely to result in catastrophic harm, affecting several lives at once. Freeway pileups are some of California’s most deadly accidents, claiming dozens of lives every year. It is not unusual for victims to be trapped inside of burning cars, see leaking fuel spark explosions and have multiple victims air-lifted for medical treatment. According to statistics from the National Highway Traffic Safety Administration, nearly 30 percent of all U.S. road accidents involve at least three vehicles. These accidents tend to happen more frequently at intersections and on interstate and intrastate highways. Road hazards, poor asphalt conditions and inclement weather can increase the risk of a multi-vehicle accident, and other common causes include reckless driving, speeding, driver distraction, tailgating, drowsy driving and operating a vehicle while drunk or impaired by drugs. One of our competent Los Angeles car accident attorneys will protect your rights and do everything possible to help put your life back on track. It is their job to maximize your recovery and prove negligence in the case by reviewing police reports, getting eyewitness testimony and obtaining the expert opinion of industry professionals, from health care providers, crash reconstructionists and economic analysts, that bolster your claim. If settlement negotiations don’t prove fruitful, your attorney will be prepared to fight on your behalf in front of a jury. While there are many outstanding law firms in California, only a small percentage have trial attorneys who consistently win in the courtroom. In conclusion, retaining an experienced and trusted car accident lawyer is worth the effort after a multi-vehicle accident. Our Los Angeles personal injury lawyers boast a 99 percent success rate and have procured more than $350 million for clients. Ellis Injury Law is ready to go to bat for you.